Have you Heard of My-Lipo? Looking to slim, shape, and tone your body this summer? There is an amazing new body shaping system that I’ve been telling everyone about. Results are so incredible that it’s hard to believe the system is affordable and non-invasive. It’s called My Lipo and it uses infrared light to contour areas of the body such as the waist, hips, thighs and upper arms. I know what you’re thinking. Light? That can’t possibly work. Women are reporting visual results after 3 weeks, and a shapelier, more toned stomach region after 2 months. Read on to find out more details about this incredible new treatment as well as where you can try it out in Vancouver, Washington. The effects of this treatment result from the heat and unique wavelength of the light used. Called “photobiomodulation”, this light stimulates fat cells to release energy that is then flushed away by the lymphatic system. The process is similar to when your body enters the “fat burning” stage of a good cardiovascular workout. It’s completely safe, painless, and non-invasive. Combined with exercise or WBV (Whole Body Vibration) My-Lipo will result in visible inch loss. How much does My-Lipo cost? This is the most cost effective slimming and toning solution on the market. Why spend a fortune on expensive invasive surgeries when you can get the same results for a fraction of the cost? During treatment 2 to 4 treatment pads are placed over each treatment area. The pads are held in place directly against the skin by an adjustable strap. Treatments last for a period of up to 20 minutes and the recommended number of treatments is two-three per week. If you are committing to the recommended number of treatments you can expect a full inch lost over the course of a 4 week period. After treatment, exercise and plenty of water is essential to achieve desired results. Why do I love My-Lipo? My-Lipo is simple to use, affordable, hygienic, quick and effective. Results are phenomenal and it’s extremely safe. How is My-Lipo different than liposuction? Liposuction is an invasive procedure involving the mechanical removal of fat cells. By contrast, My-Lipo is completely non-invasive and only affects fat cells temporarily. My-Lipo does not compete with liposuction; it is simply a body shaping option available to clients who do not wish to undergo a surgical procedure. Where can I go to find My-Lipo? My Lipo is available at Ship Shape Tanning Salon in Fisher’s Landing. Call to schedule an appointment with the My-Lipo for for questions regarding the treatment. They can be reached for appointments at (360) 210-7565. 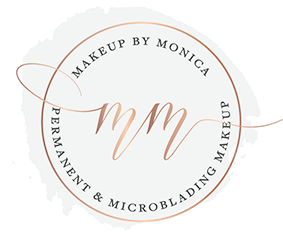 And while we’re on the topic of looking GREAT this summer, why not make an appointment for a facial with Makeup by Monica. A hydrated face is a happy face, and Monica will make sure yours has a healthy glow to it.